Q. What do I need to do before I can start driving? A: You can apply for your provisional driving licence up to 3 months before your 17th birthday (16 if you are registered disabled). You can apply using the relevant form from the Post Office, or apply online It is also worth having an eyesight check, but in any event, ensure you can read a standard car number plate at 20.5 metres. Q. Will I drive on my first lesson? A: Yes. We always aim to book your first lesson for 2 hours to give you time to have a drive! Q. What do I need to bring with me on my first driving lesson? A: On your first driving lesson (whether you have driven before or not) you need to bring both parts of your provisional driving licence. Please also bring along any glasses/contact lenses if you need to wear them, and sensible footwear! Q: How do I prepare for my driving lesson? A: Learning to drive takes a great deal of concentration, especially in the early stages. To maintain your concentration you must be comfortable when driving. Visit the toilet before your lessons. Get ready in plenty of time so that you can spend a few minutes relaxing. Read any hand-out notes you were given during the last lesson and think back to the improvement areas you are working on. This will help you collect your thoughts and prepare yourself mentally for driving. Being worried or stressed will not help your concentration. Try to avoid any arguments before going out – they will put you in the wrong mood for learning. Even just feeling ‘under the weather’ will affect your mood and ability to concentrate. If you are ill it probably isn’t worth having a lesson – but do try but to give your instructor adequate notice if you need to cancel. You must concentrate all the time. You should not drive if you’re not feeling well. You'd be surprised how even a common cold can affect your concentration. Modern cars have very effective heating and ventilation systems that allow you to keep a comfortable temperature in the car whatever the weather, so there’s no need to wear heavy coats or sweaters. Wear light, comfortable clothes. Avoid anything that is heavy or tight-fitting when driving, as this could either distract you or restrict your body movements. You might find yourself getting ‘hot and bothered’ in the early stages no matter what you've chosen to wear. If this happens, open a window to get some fresh air and keep you alert. Q. How long are driving lessons? A: Driving Lessons can be 1 hour, 1.5 hours or 2 hours long. It is entirely up to you. We can even do 3 hour lessons. Q. 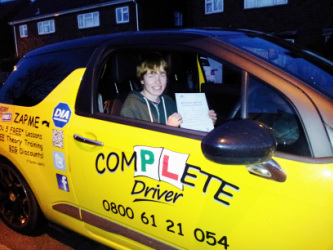 How often should I have my driving lessons? A: Continuity of driving lessons is important. Depending on your goals for when you would like to pass your test. We recommend that you have between 2 and 4 hours per week. We are also able to provide 1 hour lessons, however you will progress much quicker if you have two hour lessons. Q. How many driving lessons will I need to take? A: We will teach you to drive correctly, safely and competently to a high standard on our complex, modern road systems. 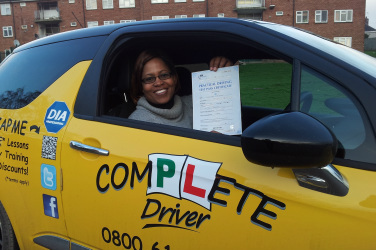 On average the Driving Standards Agency (DSA) recommends around 45 hours with a qualified driving instructor. The actual number of lessons required varies from one person to the next. We are all individual and each of us learns differently and at varying speeds. This is why you should try not to compare yourself with friends and family and how they did. Your rate of learning also depends on how many practice hours you are able to fit in each week with your instructor or a combination of your instructor and private practice. Q. What if I need to cancel or re-arrange a driving lesson that has been booked? A: If you need to change or cancel a driving lesson that has already been booked, please contact your driving instructor. Q. Will I be charged if I change or cancel a lesson at short notice? A: You need to give at least 48 hours notice to change or cancel a driving lesson, or you may be charged by your driving instructor. Q. What is the cheapest way of booking my driving lessons? A: You should take advantage of our block booking discounts. These generally start at just 5 hours or more. Ask your instructor for details. Q. How do I pay for my driving lessons? Q. How do you assess my progress and when will I know when I am ready to book my driving test? A: Your instructor will monitor your progress on your personal progress log which you need to bring to every lesson. This log tracks your progress for each area of your driving form being `introduced` to a subject through to becoming `Independent/Test Standard` in each area. This helps both you and your instructor to keep track of your progress and work on the areas that need improving. Your driving instructor will advise you when to book your driving test, taking into account the current waiting times for driving tests. Q. 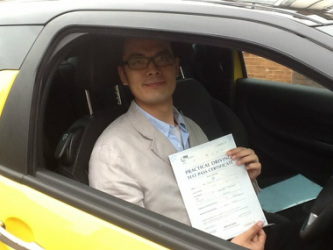 Do you offer intensive driving courses? 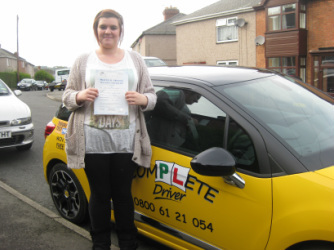 A: Yes we do offer intensive driving courses. These can be anything from one week upwards. If you want an intensive course of lessons, we will arrange a two hour driving assessment and advise you of your best route to test. Q. Do I need to pass the Theory Test before I can start my driving lessons? A: No, and in fact it can be better to learn the theory whilst having practical lessons. You can take lessons any time from your 17th birthday. You will however need to pass the theory test before applying for the practical test. Q. Do I need to have passed my theory test before starting an intensive driving course? A: Ideally, yes but not a must. A lot depends on the period of time over which you are looking to do the course. Typically, the waiting times for the theory test is 2/4 weeks and for driving tests between 4 and 8 weeks. The practical driving test cannot be booked until the theory test has been passed. Q. Once I pass my theory test, how long is it valid for? A: Your theory test is valid for 2 years from the date you pass it. 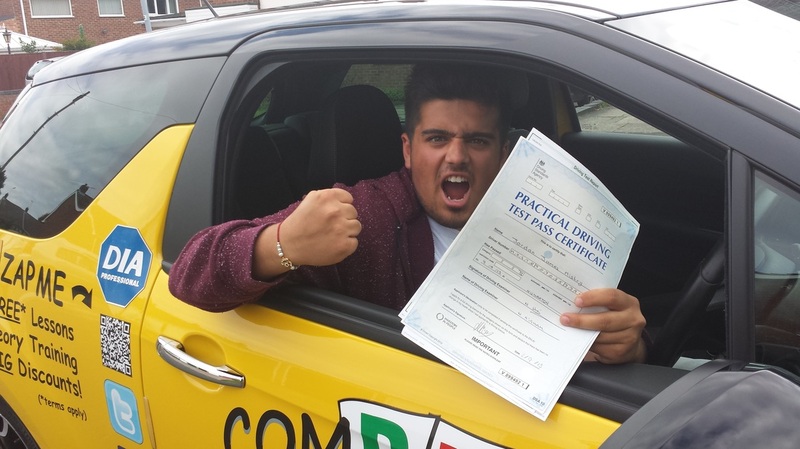 So you have 2 years to pass a practical driving test before you will need to re-take your theory test. Q. What should I study to pass the Theory Test? A: We are able to recommend all the appropriate study support materials you will need and advise you where you might purchase these from. Study materials can cost as little as £2.50 up to £15 for books and DVD's. We also offer FREE on-line training if you join us. Ask us about how you enrol. Q. Where do I take my Theory Test? A: There are several theory test centres across the UK. We will be able to advise you of your nearest centre. Alternatively you can click here. Q. 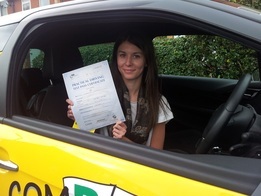 Can you book my practical driving test for me? A: Yes, as long as you have already passed your theory test we will be happy to book driving tests for our pupils. Q. What type of car will I be learning in? A: You will be driving a Citroen DS3 DSport Plus. 6 Speed manual gear box. Fitted with all modern driving aids and finished off with leather trim and interior. The DS3 was voted the best Super Mini of 2013. The car is fully fitted with dual controls to assist you for safety if required. Watch the video. Opposite or click here. Q. Do I use my instructor's car for my driving test? A: Yes, you would use your instructor`s car for the test. It is also usual to have a 1 hour lesson immediately before your test to get you warmed up and mentally ready. Your instructor will accompany you to the test centre and you will have an option as to whether you would like him to sit in the back seat and accompany you on your test. "Ray, Ray, Ray, I PASSED!!! Thank you so,so much for your help. You have been brilliant. I couldn't of asked for a better instructor! Thank you for giving me my freedom"
"Thanks so much Ray for teaching me the stuff I need. Your professional skills as well as your patience impressed me so much. I passed my test today (First time!) and I'm happy. I realised that without you I cannot make it. The driving skills you taught me will keep me safe for the whole of my life. Cheers"
"I passed FIRST time. Big thanks to you! You are a great driving instructor and I will definitely recommend you to my friends. Thanks for everything!" "Thank you Ray so, so much for everything! I never would have been able to do it without you. I am going to miss lessons with you we always have such a laugh! Can't wait to start Pass Plus! Great teacher! Thank You!" 'Thank you ever so much for your training, guidance and support when I felt like giving up. You are the best teacher I ever had. It was brilliant being taught by you. Thanks a million! "Passed my driving test FIRST time with only 3 minors! Why? because I have been taught by the best! Thank you so much for your help, support and lovely comments that have kept me going. I will definitely recommend you to all my friends. Thank you for everything."